Following months of overwhelming critical and audience acclaim and numerous year-end awards, Warner Bros. Pictures is bringing Alfonso Cuarón’s cinematic achievement “Gravity” back to big screens nationwide. The film, which stars Sandra Bullock and George Clooney, will be re-released on more than 900 screens on January 17, 2014, it was announced today by Dan Fellman, President, Domestic Distribution, Warner Bros. Pictures. 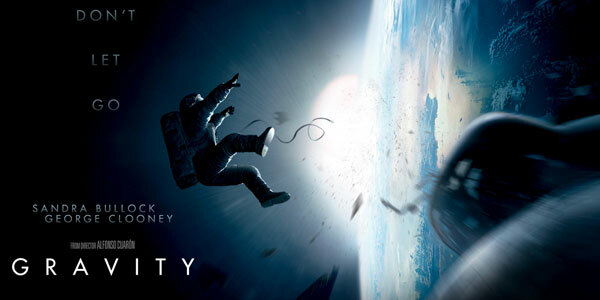 Originally released on October 4, 2013, “Gravity” instantly became a favorite of both critics and audiences. It has since become one of the most honored films of the year, most recently bringing a Golden Globe Award for Best Director to Alfonso Cuarón. The film has also received 11 BAFTA Award nominations and 10 Critics’ Choice Award nominations, both including Best Picture, Best Director and Best Actress (Bullock)*. It has also won Best Picture awards from several prestigious critics organizations, including the Los Angeles Film Critics Association, and has been included on 395 critics’ and critics groups’ top ten lists, as well as being named one of the AFI’s ten best films of the year. It was also announced as the year’s best reviewed film by the website Rotten Tomatoes. In addition, the talents behind the film have been recognized by their peers, with a Directors Guild of America Award nomination for Cuarón; a Producers Guild of America Award nomination for David Heyman and Cuarón; a Screen Actors Guild Award nomination for Bullock; a American Society of Cinematographers Award nomination for Emmanuel Lubezki; an Art Directors Guild Award nomination for Andy Nicholson; and an American Cinema Editors’ Eddie Award nomination for Cuarón and Mark Sanger*. “Gravity” has also been a smash hit at the box office, earning more than $670 million worldwide and counting, with most moviegoers opting to view it in 3D. 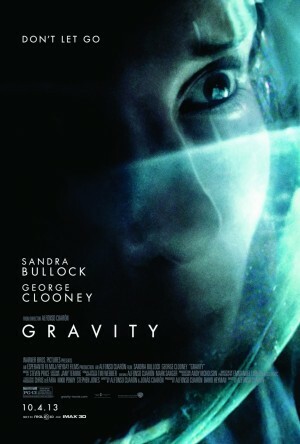 “Gravity” was written by Alfonso Cuarón & Jonás Cuarón, and produced by Alfonso Cuarón and David Heyman (the “Harry Potter” films). Chris deFaria, Nikki Penny and Stephen Jones served as executive producers. The behind-the-scenes team included multiple Oscar®-nominated director of photography Emmanuel Lubezki (“Children of Men,” “The New World”); production designer Andy Nicholson (art director “Alice in Wonderland”); editors Alfonso Cuarón and Mark Sanger (VFX editor “Children of Men”); and costume designer Jany Temime (the “Harry Potter” films). The visual effects were handled by Oscar®-nominated visual effects supervisor Tim Webber (“The Dark Knight”). The music was composed by Steven Price (“Attack the Block”).